An interiors blog packed full of inspiration, design tips & style ideas. Even without knowing what it means, there's something about the Danish word ‘hygge' (‘hue-gah’) that’s easy to like. It feels a bit like a hug - full of warmth and contentment. And essentially, it is a feeling - being cosy, serene, happy. It’s a fuzzy moment that can include sharing a meal with friends, candlelight, enjoying late summer evenings outside, open fires, snuggling under a blanket with a loved one, drinking hot chocolate, wearing woolly socks… We all need a bit of hygge in our lives. Drinking hot chocolate, being warm, enjoying time with someone else - this is a hygge moment. If you’ve even glanced in the vague direction of a newsagent or bookshop you’ll know that it’s also everywhere at the moment. It seems to be the biggest Danish export since lego and we can’t get enough of it. Perhaps it’s the post-Brexit shock and the need to find some value in being part of something bigger, or the slow onset of autumn and cooler days to come, but two new publications on the subject will hit our high streets by September. This is just a fraction of the total nine books coming out about hygge this year. (If you’ve not already heard about hygge, you soon will). “In essence, it’s a sense of belonging – to each other and to the moment. It’s warmth, security, intimacy, comfort and connection,” explains Louisa Thomsen Brits, whose The Book Of Hygge (Ebury, £12.99) was published at the end of August. The book of Hygge: The Danish art of living well by Louisa Thomsen Brits is just one of the 9 books being published this year on the topic of Hygge. It sounds wonderful, doesn’t it. Can we hygge-up our homes? Yes, easily. But before we do, there’s something you should know. Hygge is more than adding a soft throw onto your sofa. It is very much a way of life and a way of living. For our homes this translates to meaningful decorating which encourages feelings of contentment, positive social interaction and purposeful living. This in itself is not a new idea. It could even be an extension of mindfulness and living in the present, but wrapped up in a word and concept people might resonate with and understand more easily. Moreover, the Danes don’t have a monopoly on this kind of feeling of fulfilment. Hot on our hygge heels are the Dutch with their own word with no literal English translation: ‘Gezellig’ (heh-sell-ick). It seems even harder to define than hygge, but it describes anything jovial, cosy and fun. It too is a feeling - a sense of individual well-being, typically shared with others. It can be used to describe things which are cosy, people who are entertaining and situations that produce a feeling of togetherness. It’s hard not to want a bit of gezelligheid as well as a bit of hygge. The Dutch have their own word to describe a home which is cosy, fun and conducive to social togetherness: Gezellig. How to begin? Like a recipe, we need to start with the key ingredients and build up from there. Key to creating a sense of coziness is lighting. Candlelight, an open fire (if you can have one), warm bulbs, table lamps and low pendants over a dining table or relaxing area. These help to build a feeling of warmth and mark out areas for social interaction. Two armchairs in front of the fire, in a corner of the room lit only by candles, encourages warm, relaxed conversations in the evening. A low pendant lamp over the dining room table creates a soft light over this social space as the evening sets in. Using a mixture of table and floor lamps will create small pockets of warm lighting. An ideal atmosphere for friends to linger, or for you to curl up in with a good book. 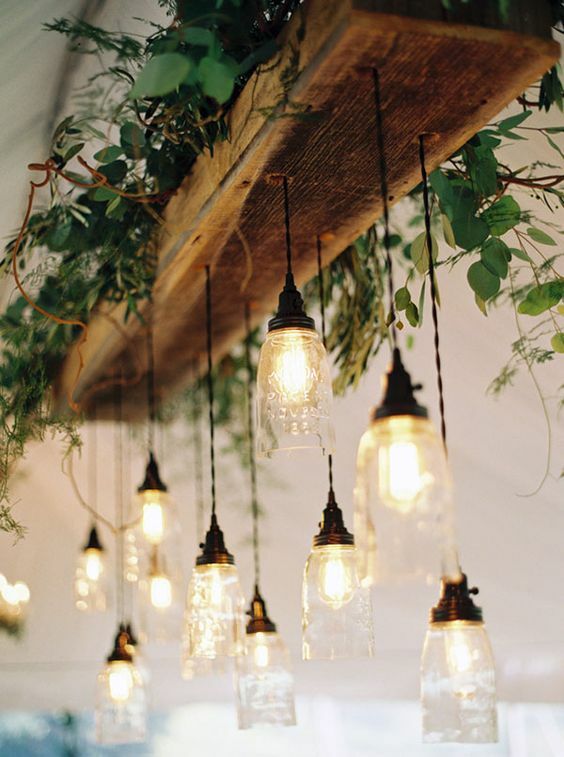 Using string lights seems a natural choice for outside or in a conservatory, but bring them inside too. They'll reward you with a lovely, inviting glow. The next ingredient in our heavenly home is nature. Bring in the outside not only with plants and flowers, but bark, berries and pebbles, shells or leaves. Nature and natural materials such as wood, can help to quiet the mind and allow us to 'be' in the moment. Bring the outside inside and help to stay connected to nature. Enjoy the simple pleasure of the changing seasons and celebrate this in your home. Fill vases with fresh flowers or a few sprigs to instantly lift a room and your mood! Incorporate natural elements such as wood and leaves in unexpected ways. Wood is such a versatile material, its rich patina looks great on the floor and always makes for a cosy and inviting home. Wood can add natural warmth to a bedroom when used as a headboard. Finally, the last ingredient for ultimate coziness is to add texture and layer up with rich faux furs, sumptuous woollens and deep cushions. Combine with natural fabrics such as linen, cotton and cashmere for a restful and contented home. Tactile knits, plenty of soft cushions and faux furs all add cosy layers to your living room. This room is a warm and cosy retreat. A soft rug underfoot, a thick throw, an upholstered headboard, deep cushions: build up your bed so that you can then sink into it. With soft lighting, elements of nature and layers of warm knits, all your home will need are friends and family to share it with you. Celebrate and share the coziness! Your happily ever after home. beautiful foundations claims no credit for any images posted on this site unless otherwise noted. Images on this blog (beautiful-foundations.com) are copyright to their respectful owners. If there is an image appearing on this blog that belongs to you and you do not wish for it to appear on this site, please contact me with details of which image you refer to and it will be promptly removed. Any image on this site is here because it is thought to be beautiful. Thank you! You're all signed up and one step closer to interior heaven!